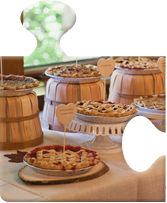 Finding the perfect wedding venue is such a fun process which is why I'm so excited to share with you this week a really special venue that I visited in November of 2012. 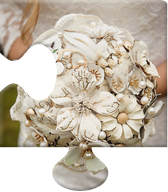 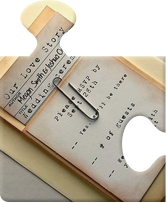 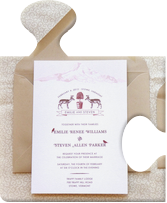 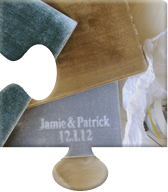 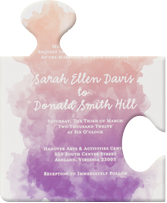 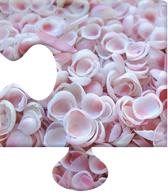 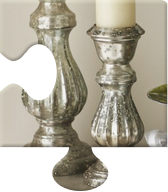 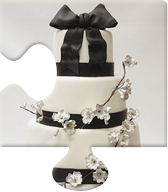 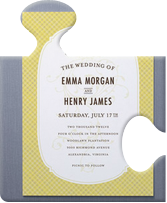 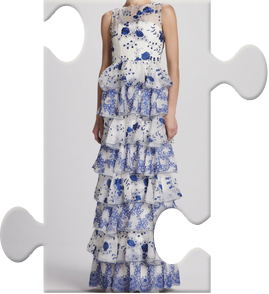 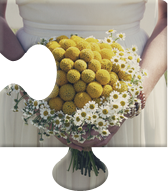 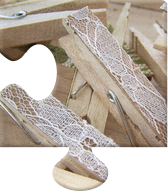 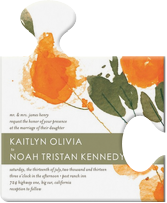 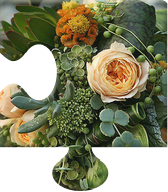 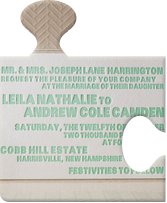 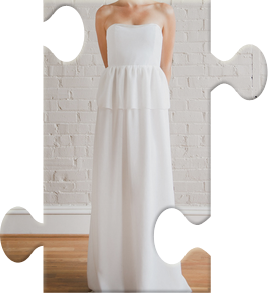 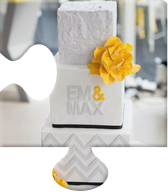 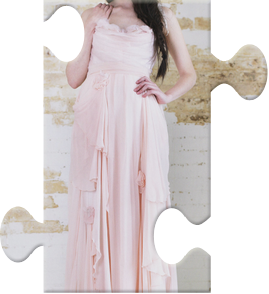 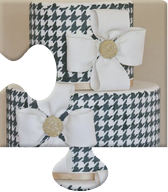 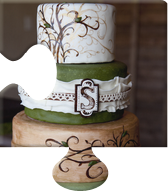 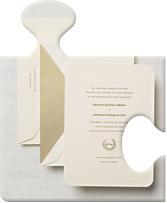 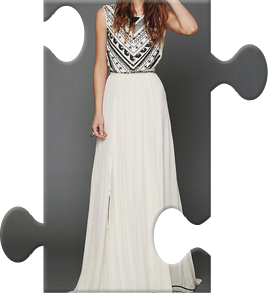 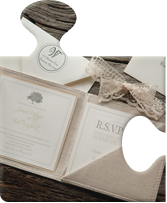 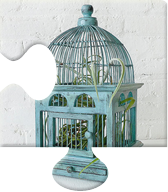 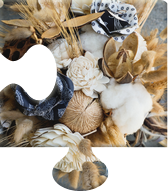 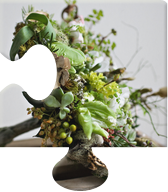 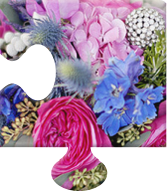 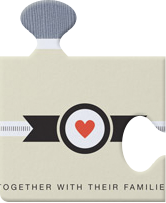 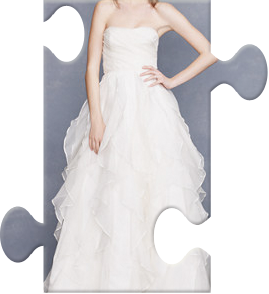 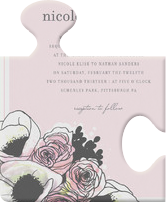 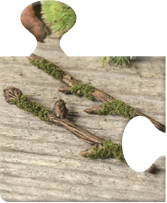 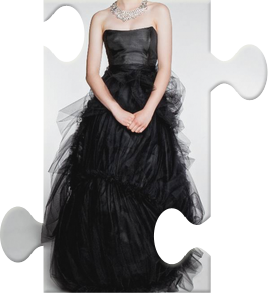 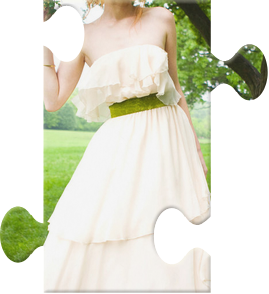 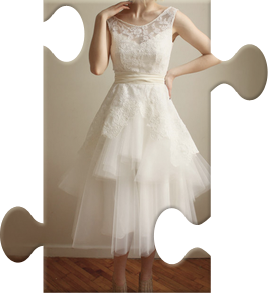 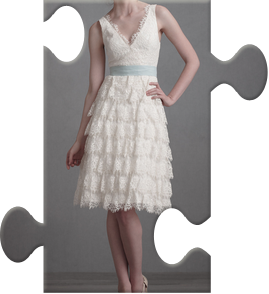 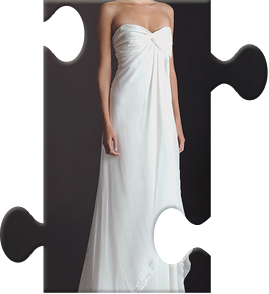 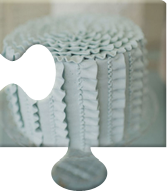 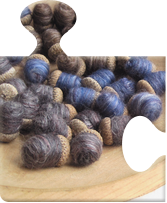 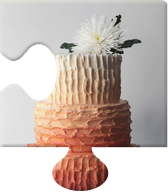 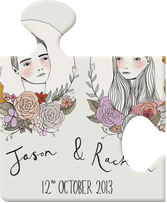 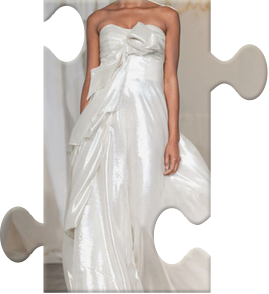 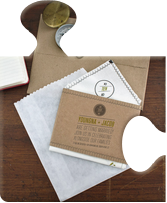 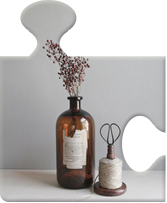 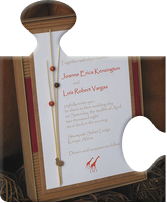 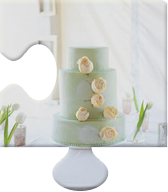 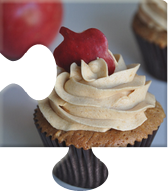 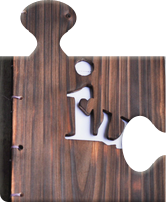 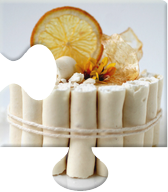 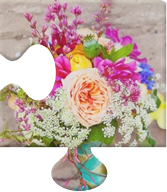 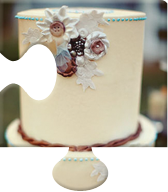 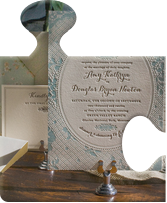 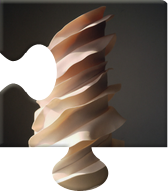 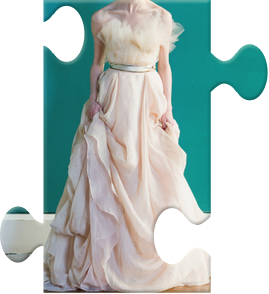 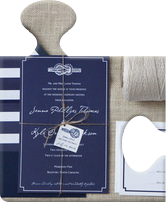 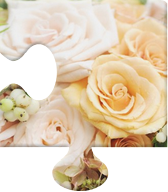 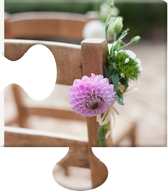 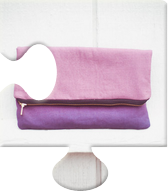 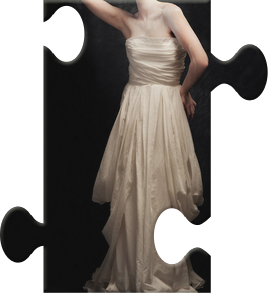 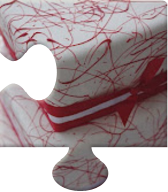 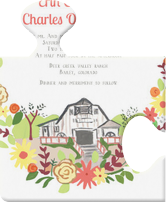 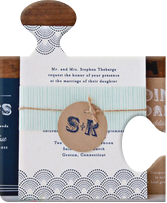 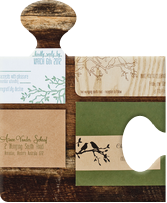 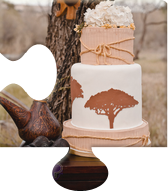 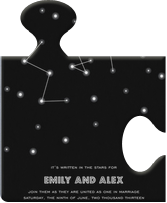 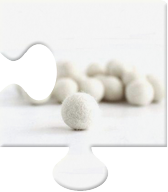 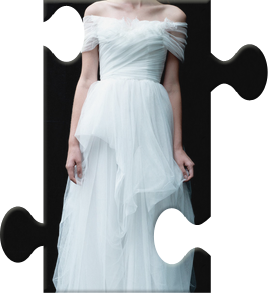 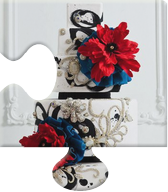 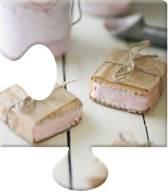 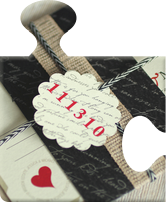 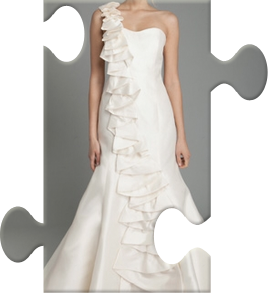 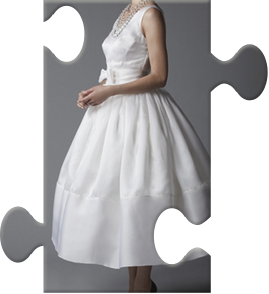 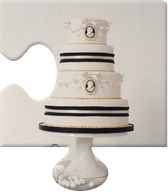 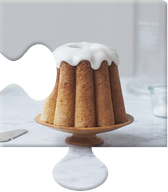 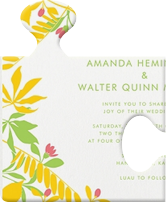 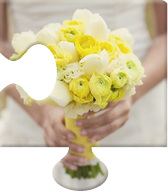 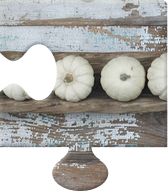 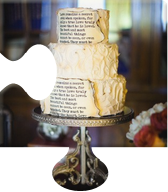 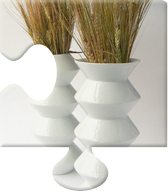 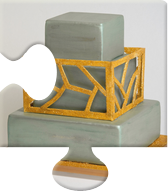 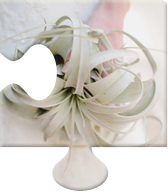 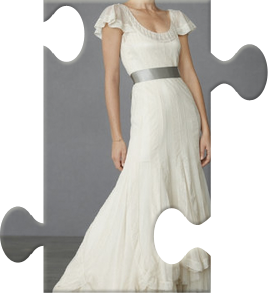 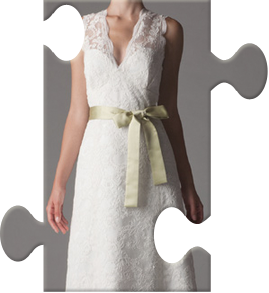 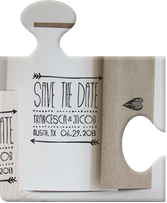 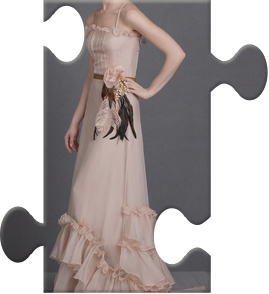 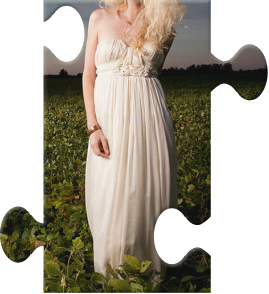 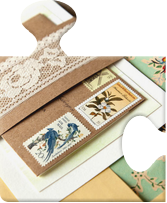 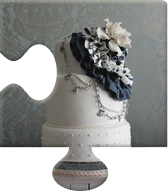 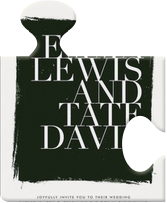 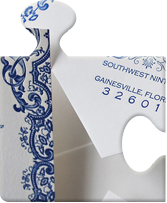 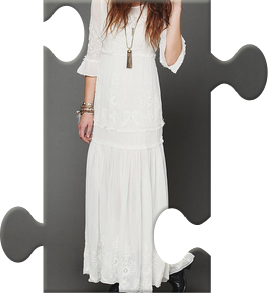 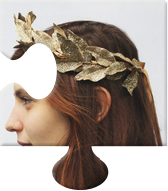 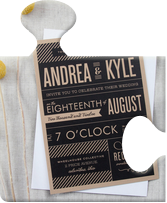 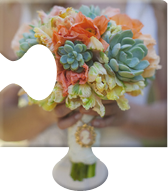 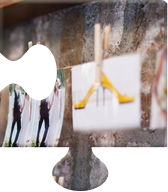 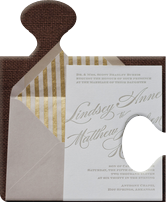 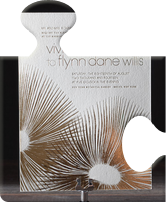 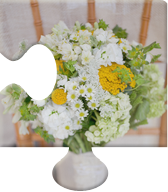 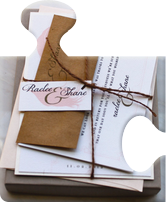 Now it all started when I created a wedding puzzle called the Mountain Blush Wedding . 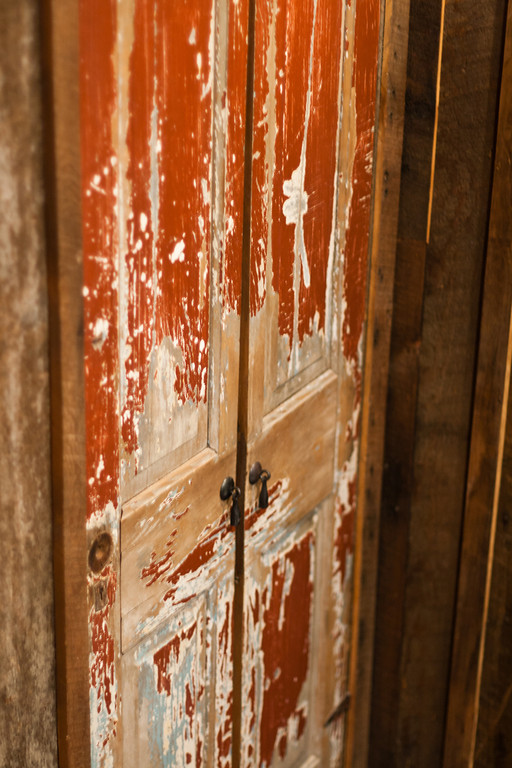 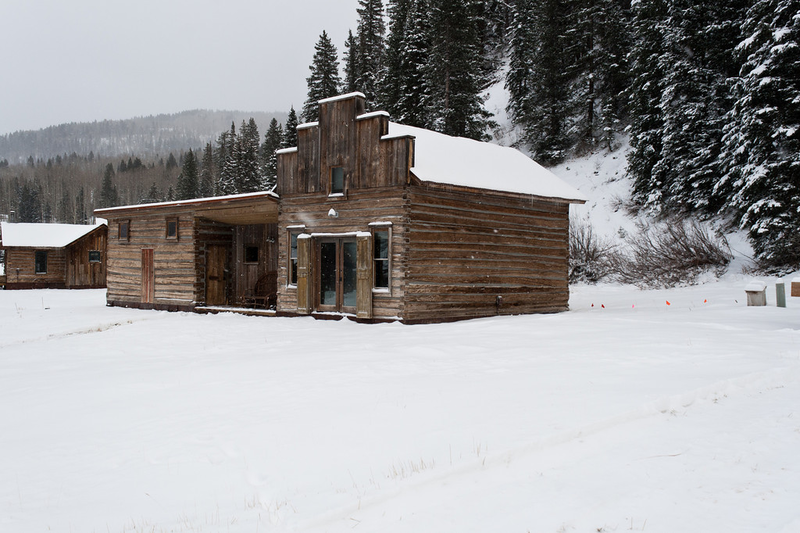 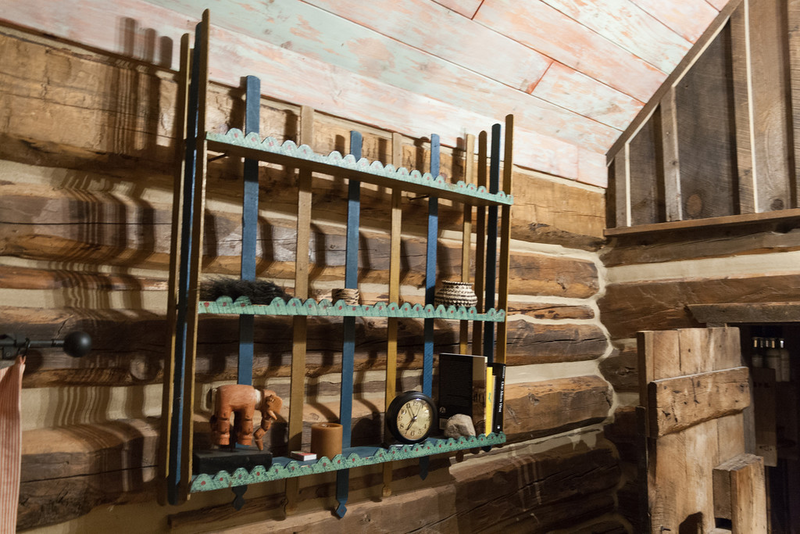 It was an ode to rustic beauty that included Dunton Hot Springs a restored ghost town resort in Dolores, Colorado. 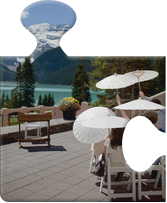 It's truly a gorgeously amazing place with wonderful wedding features like hand-hewn log cabin accomodations, rustic chapel next to a 40-foot waterfall, saloon and dance hall, spa and treatments, natural hot springs, and so much more. 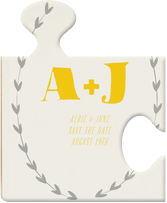 Actually, you can rent the entire town for your wedding which I cannot tell you enough how beyond amazing that would be! 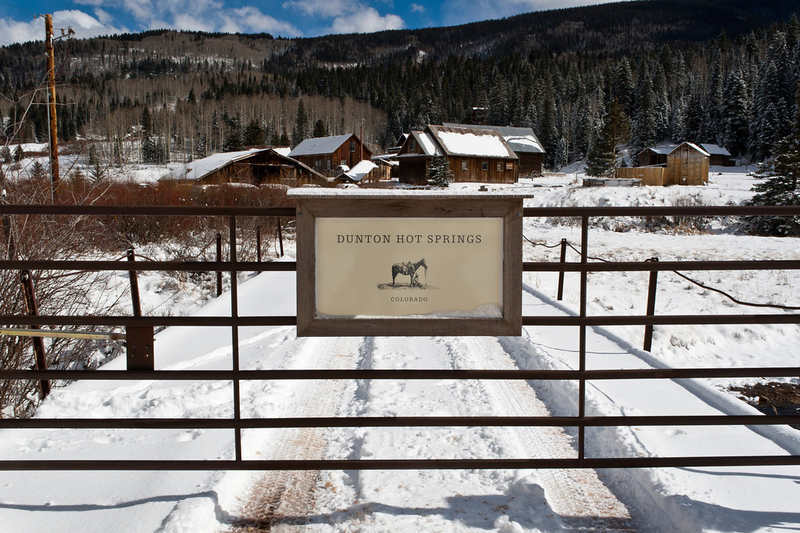 So with all that loveliness, you can imagine I was thrilled when I received a wonderful invitation from the resort to visit and experience Dunton Hot Springs for myself! 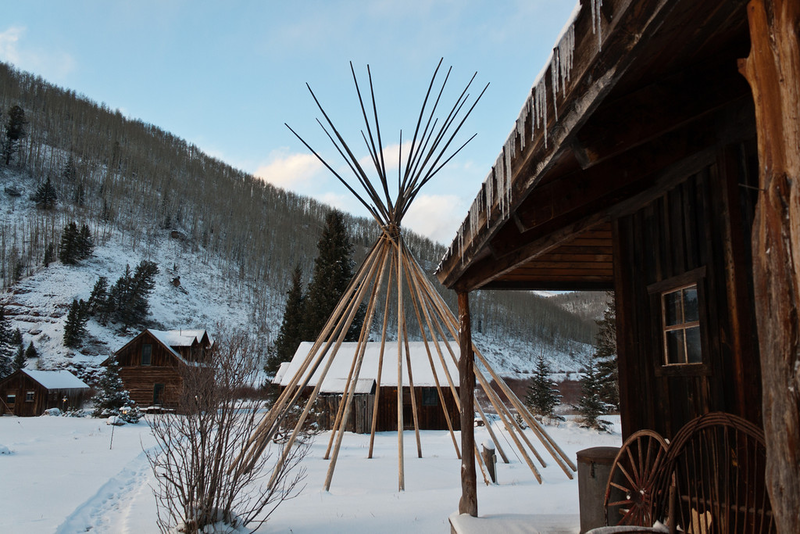 My husband and I booked our flight from Houston, Texas to Albuquerque, New Mexico and drove a beautiful 5 hour drive from there to Dunton Hot Springs. 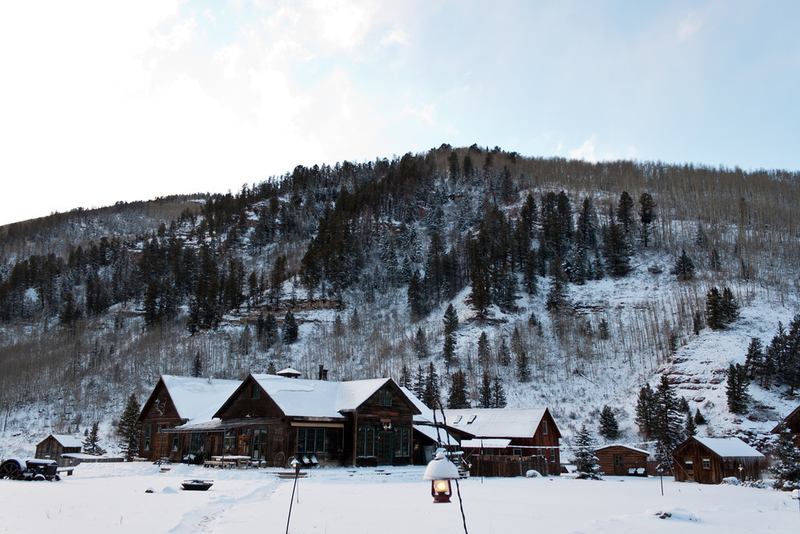 And believe me, from the moment we saw this gem of a resort...it was luxurious bliss all the way! 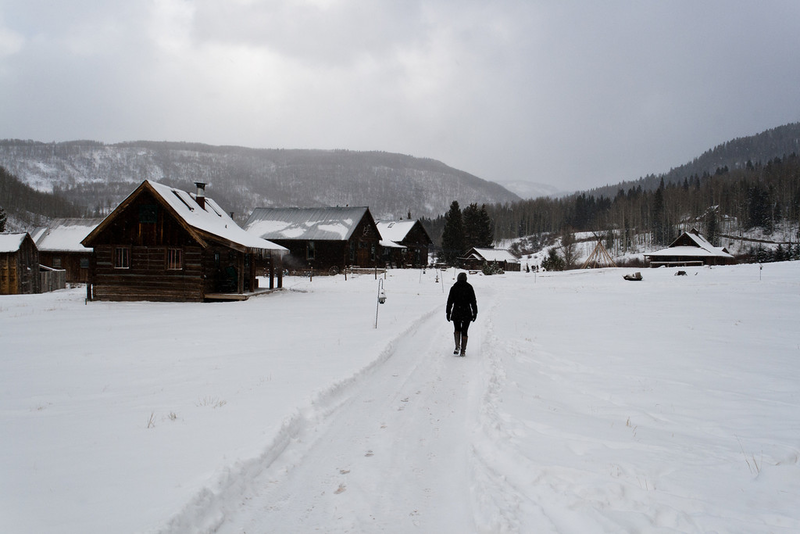 We had the best two days experiencing impeccable service, staying in a super cozy cabin, feasting on exquisitely prepared meals, spending time in the incredible indoor and outdoor hot springs, and just having a great time relaxing amongst awe-inspiring nature! 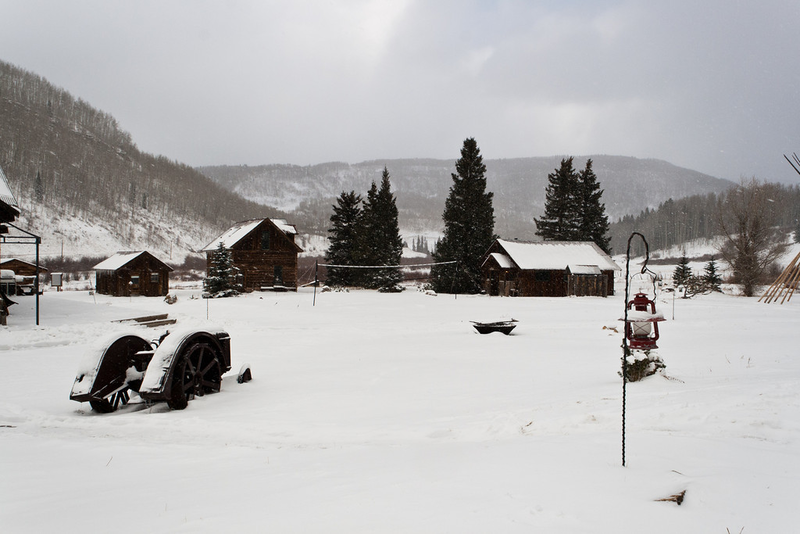 It was truly an experience in mountain paradise! 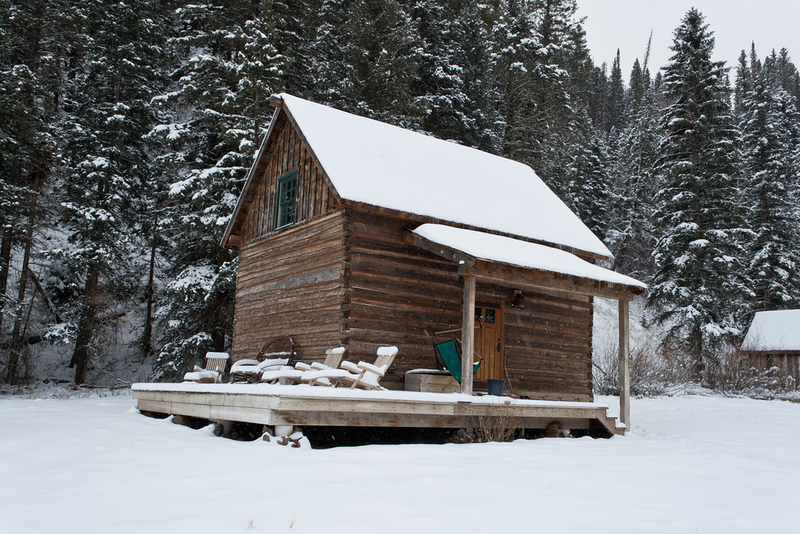 Stay tuned for more details about my amazing stay at Dunton Hot Springs...because tomorrow's piece is all about our charming cabin accomodations! 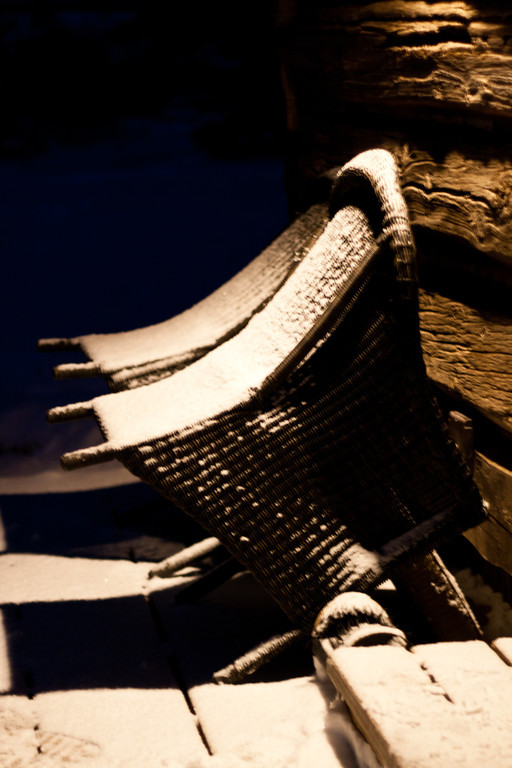 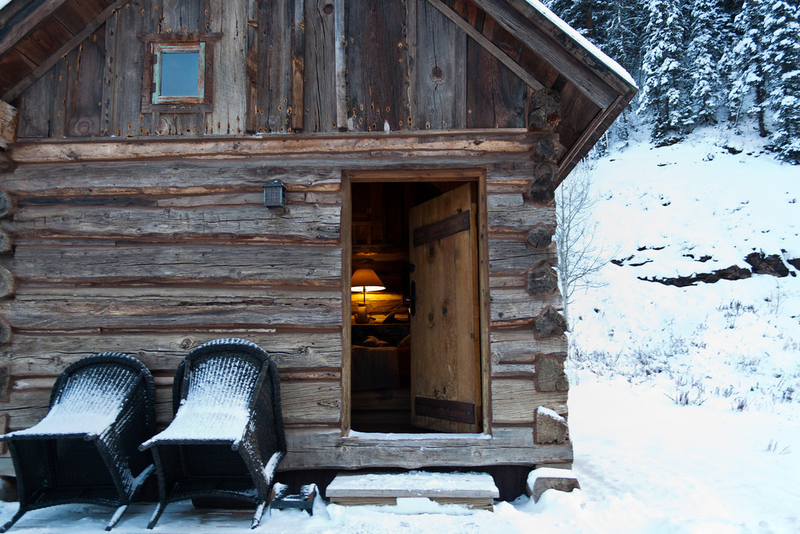 Cozy, cozy, cozy is definitely the best way to describe the cabin we stayed in during our visit to Dunton Hot Springs! 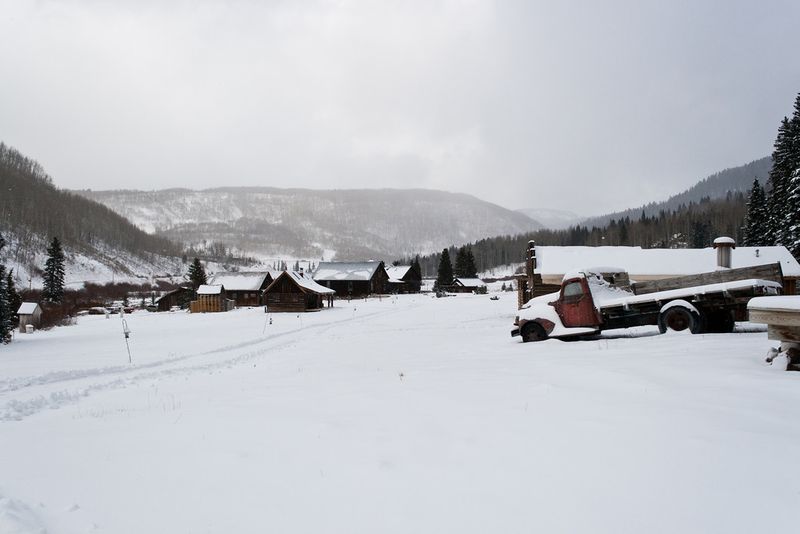 Now this amazing restored ghost town resort in Dolores, Colorado has 13 cabins, all of which can can be rented for your wedding. 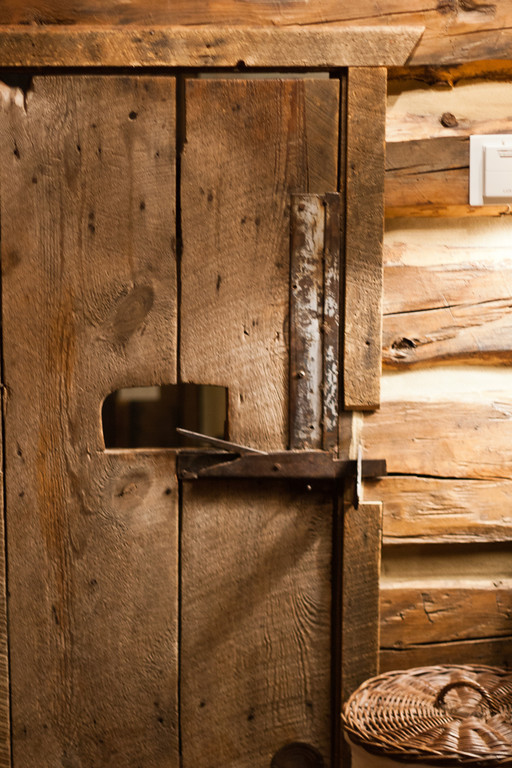 We stayed in one of them called the Echo Cabin which was definitely a wonderful welcome when we arrived. 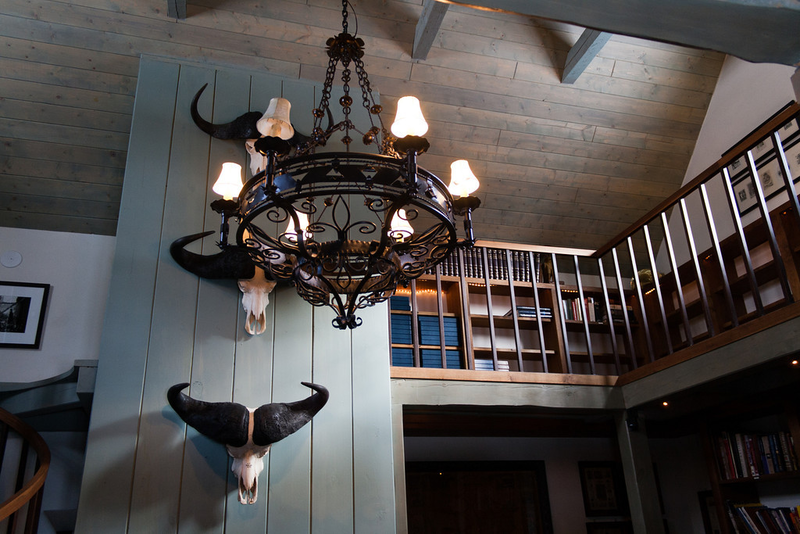 I instantly fell in love with the log exterior and interiors coupled with the antique furnishings which made this place so utterly charming. 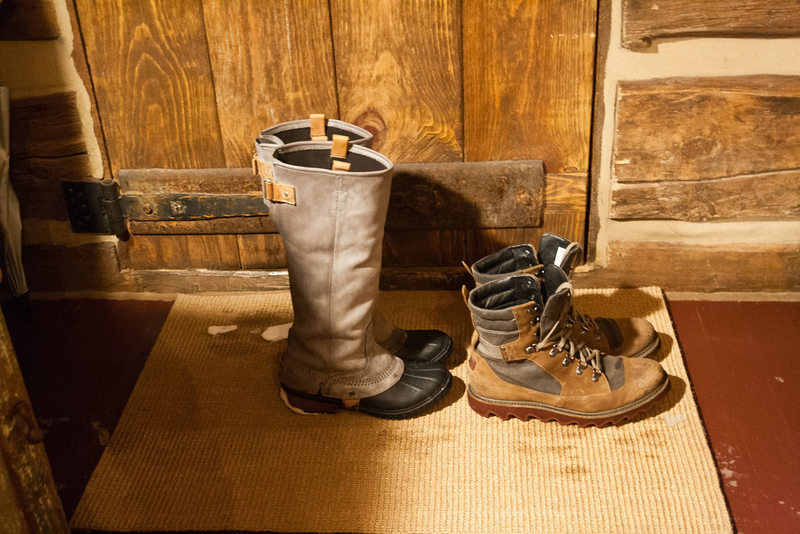 And let me tell you, I could not get enough of the heated floors...it was such a wonderful feature to have after trekking through the snow. 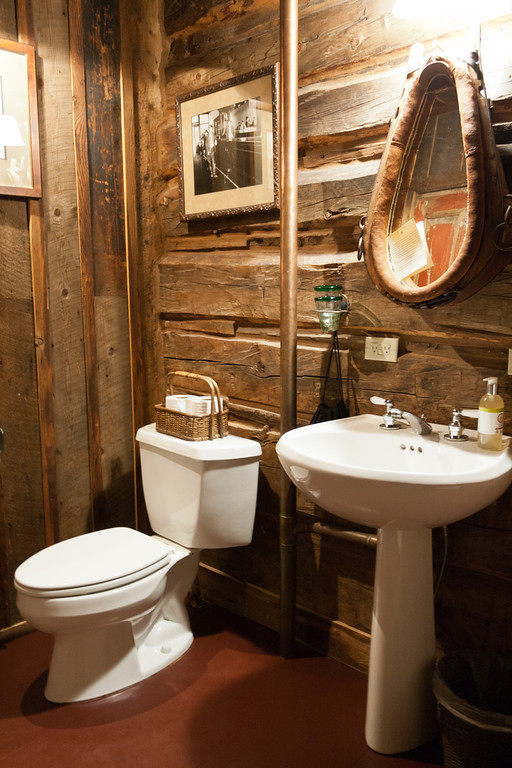 In terms of the bathroom, this particular cabin had an outdoor shower in the back with breathtaking mountain views. 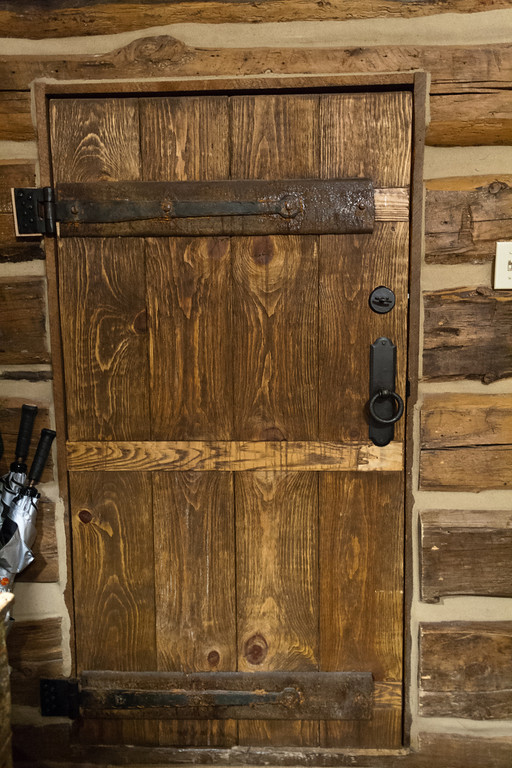 Although it was way too cold out for us to use the shower, I can only imagine it to be such an awe-inspiring experience during the warm seasons. 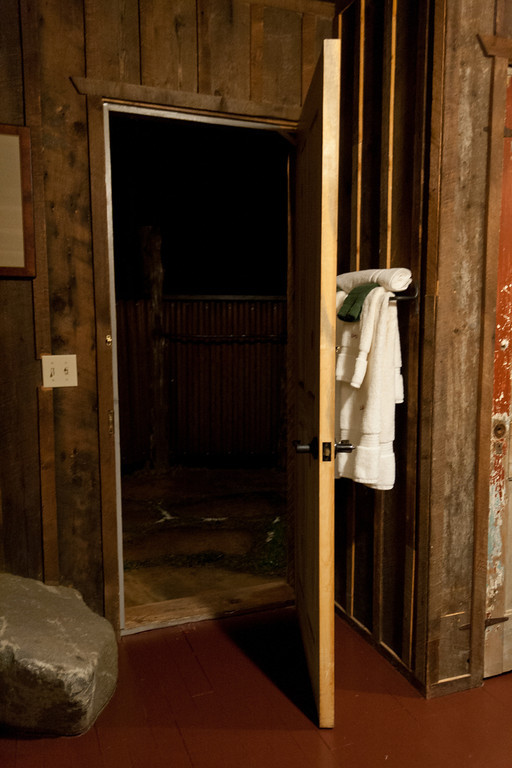 During our stay, we had access to a steam shower at the bathhouse located just steps away...it was seriously amazing! 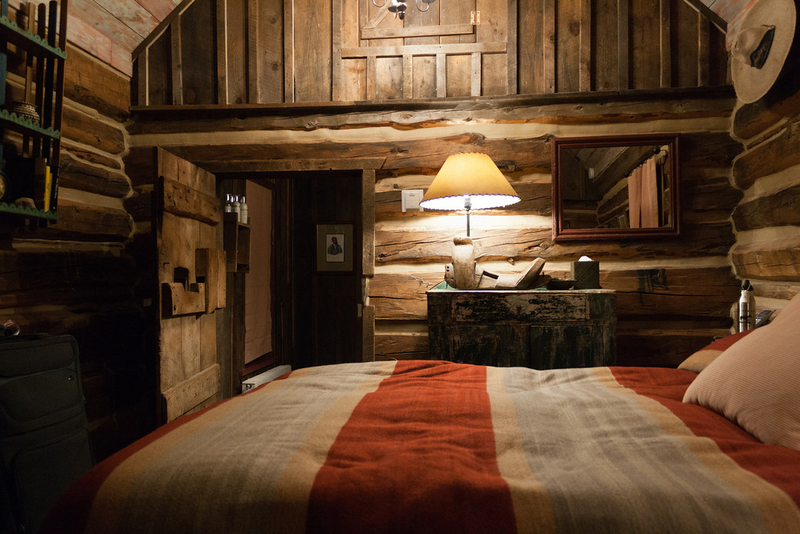 Now every time we came back to our cabin, we just felt deeply relaxed by the warmth of this sweet little place which made it that much harder to leave at the end of our trip. 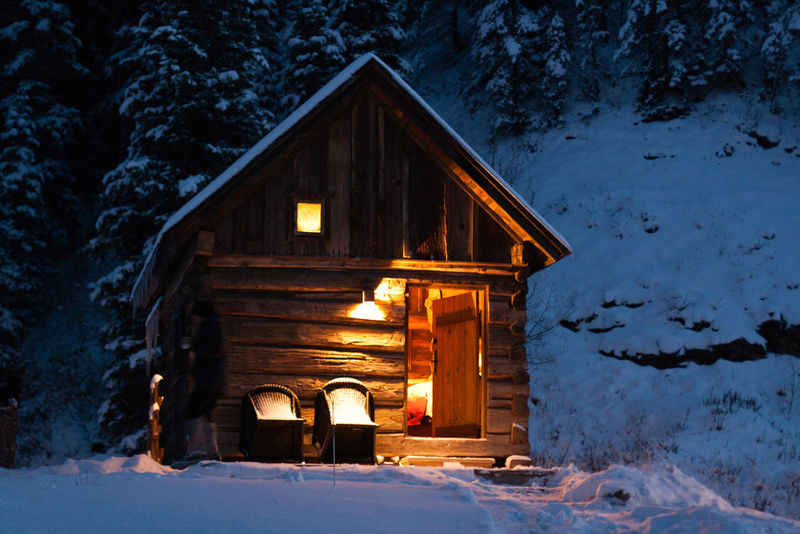 This cabin was truly a home away from home which definitely made our stay memorable in every way! 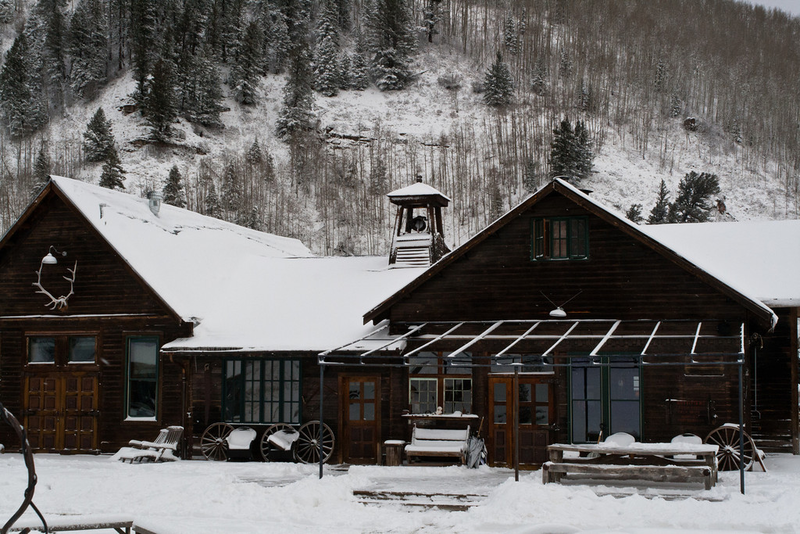 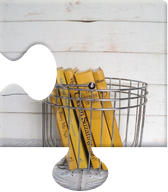 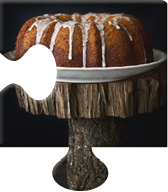 Come back tomorrow for more details about Dunton Hot Springs...the next piece is all about the dining! 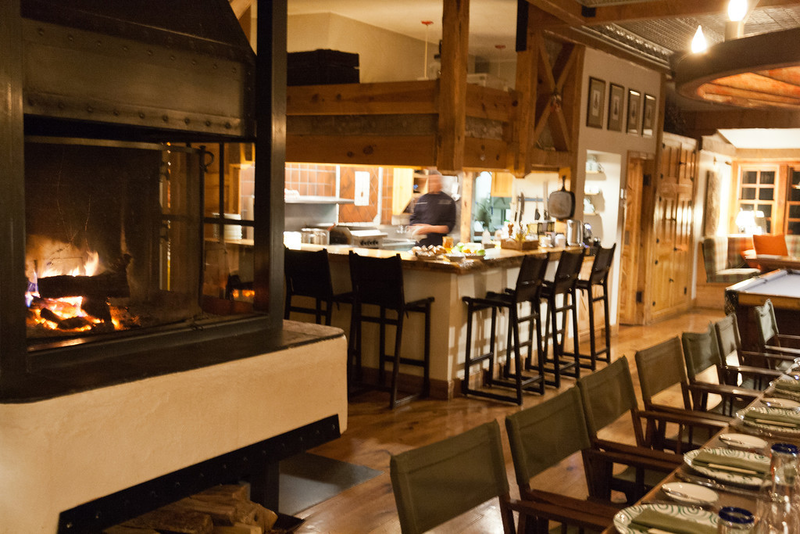 One of my favorite parts of Dunton Hot Springs was the dining experience! Since this is an all-inclusive resort, all the meals and drinks were included...which meant we didn't have to worry about anything. 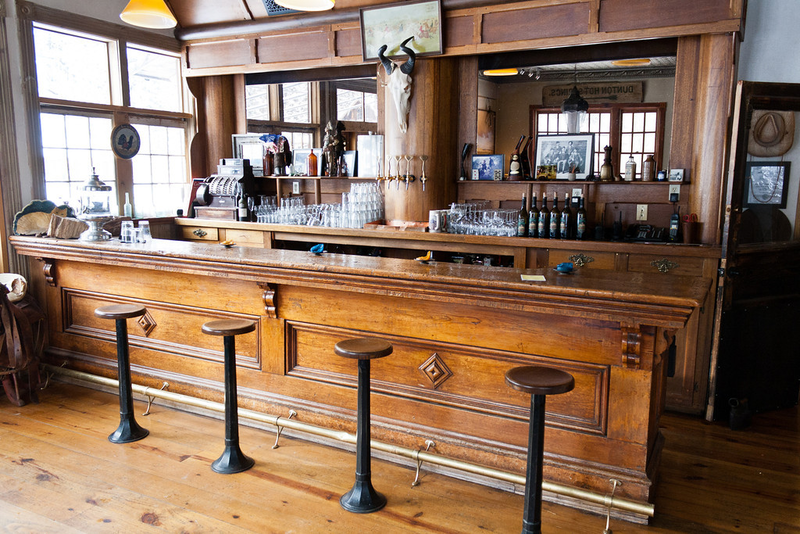 All we had to do was show up to this gorgeous historic saloon! 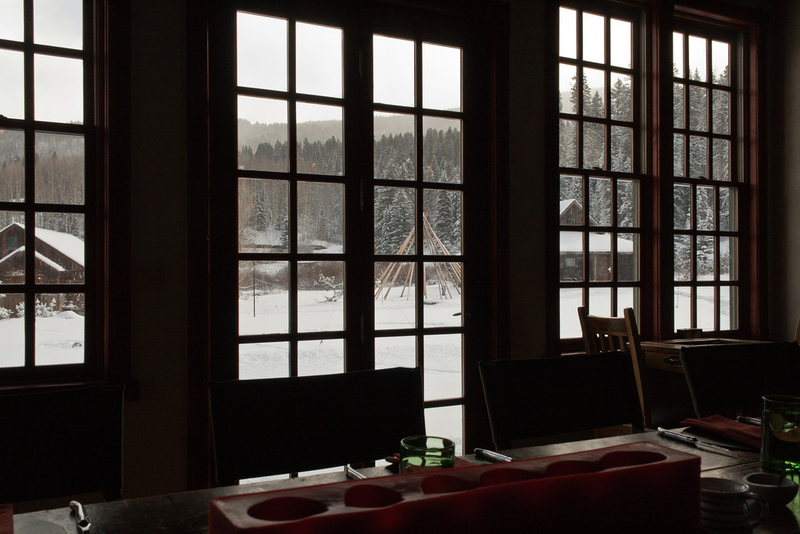 For our first morning there, we had breakfast which was served during a window of time in the mornings. 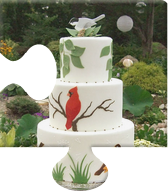 We were welcomed by the chef who had made beautiful pasteries, fruit, and granola. 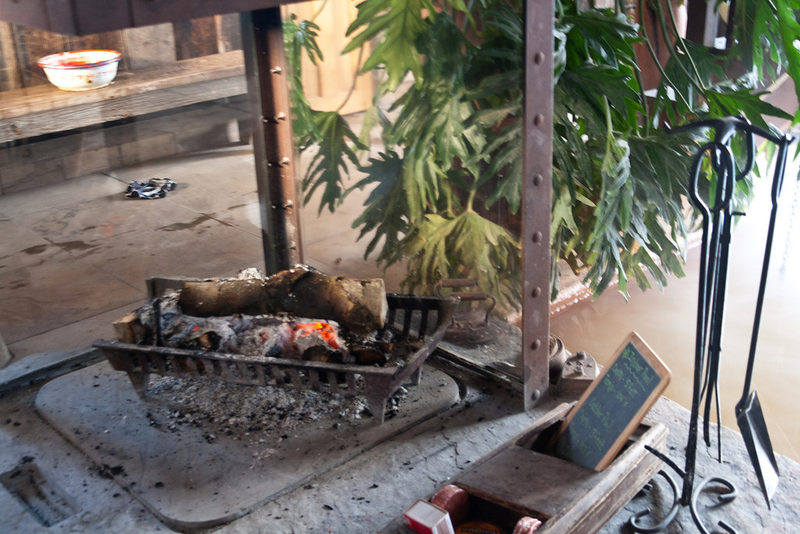 He was also prepared to make anything else that we wanted for that meal. For the second morning, we were on our way out of the resort, so the chef had prepared breakfast sandwiches and other goodies for us which was so nice to have on our drive back. 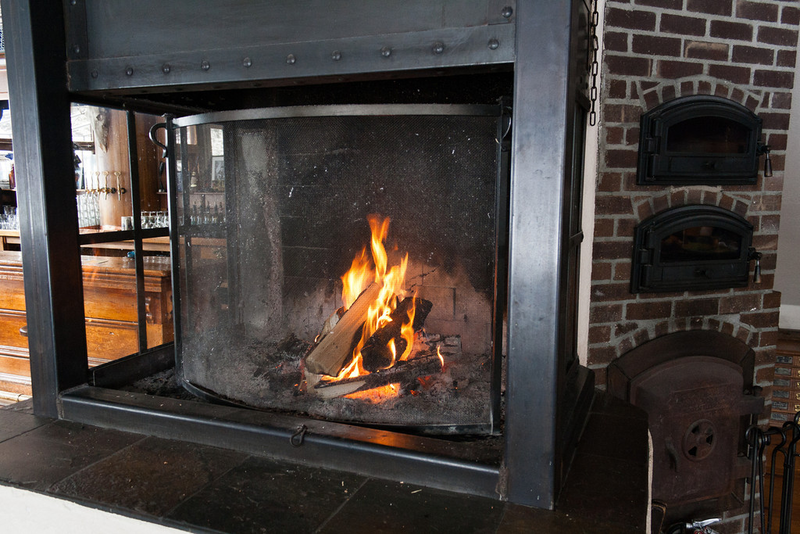 That's the kind of amazing service we received the whole time we were there! 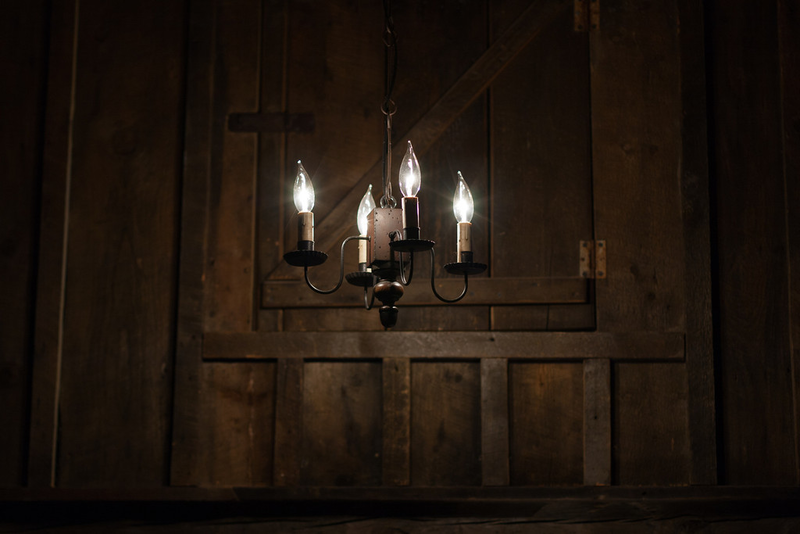 In terms of lunch and dinner, the staff would ring a charming outdoor bell, and all of us would make our way to the saloon. 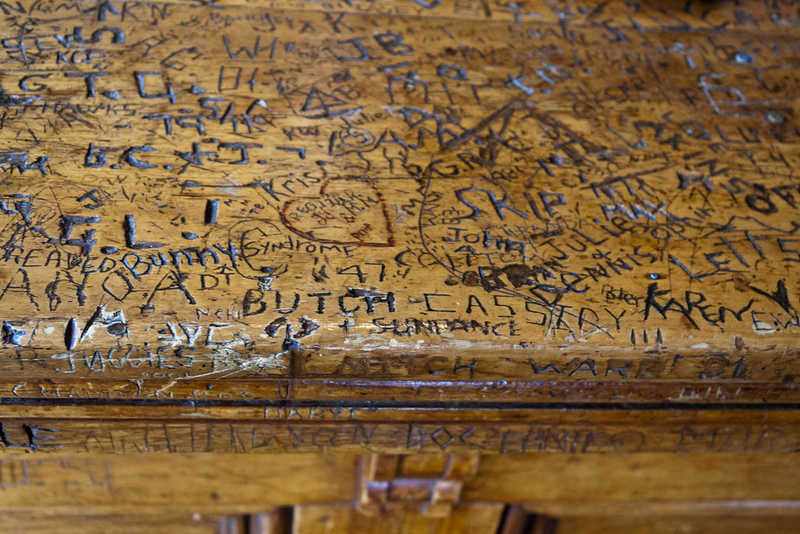 We were greeted by the staff and provided drinks at this amazing bar that had all these inscriptions on it including the famous Butch Cassidy's name. 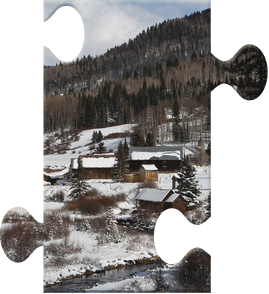 The story goes that after he robbed a bank in Telluride, he visited Dunton and stopped by the bar to have a drink...super interesting, right!?!? 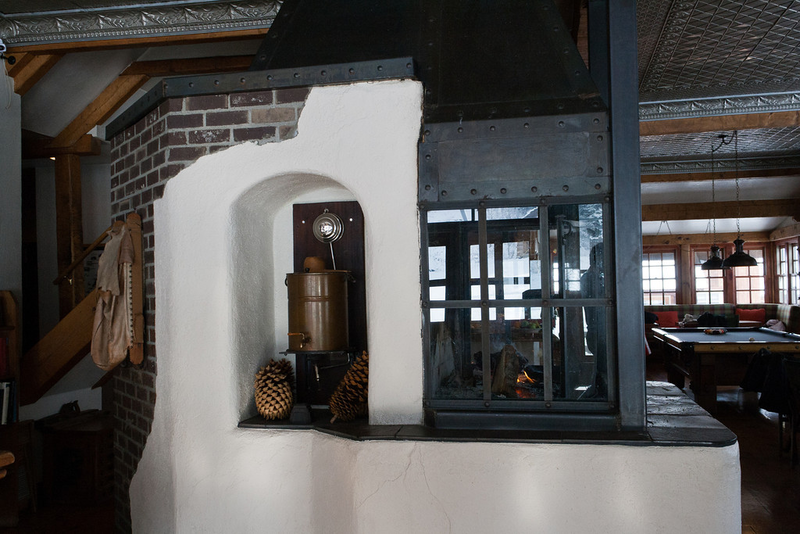 So during our time at the bar, we could relax, watch the chef prepare the food in the open kitchen, and get to know the other guests at the resort. 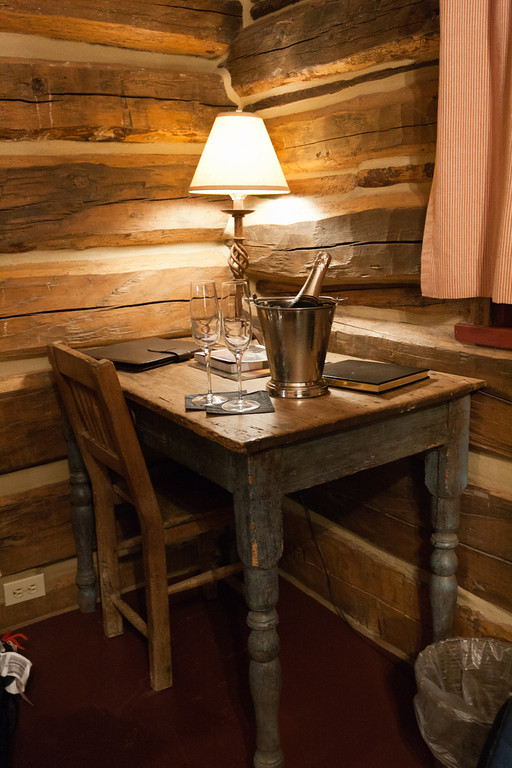 During our two nights, there were anywhere from 11 to 14 guests which was a nice because we were able to have wonderful conversations with all of them. 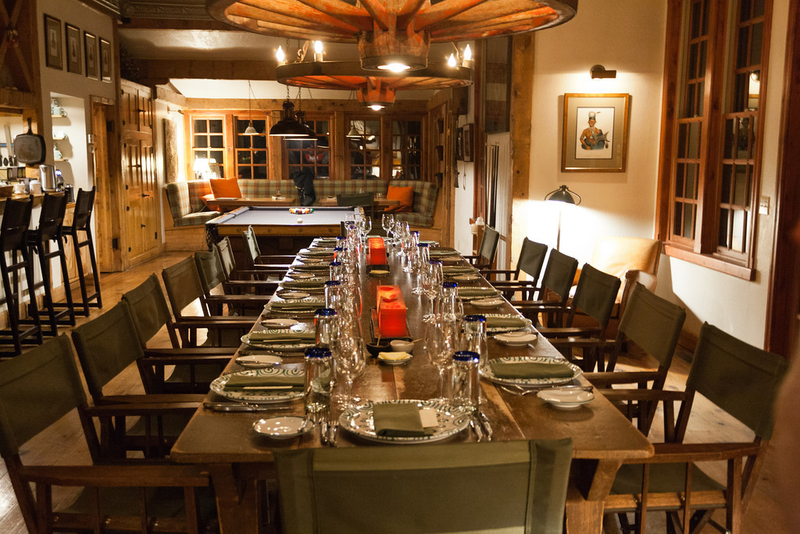 Now all the meals were conducted in a wonderful communal dining experience which meant once the meals were ready, we made our way from the bar to one beautiful long table with all the other guests. 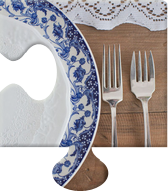 I had never dined in this way before, but let me tell you...I loved it! 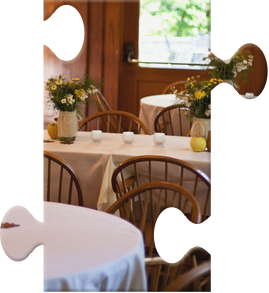 The beautifully prepared food made from local and regional ingredients was amazing, and we had so much fun talking, laughing, and sharing life stories with all the guests...such an added bonus to this wonderful vacation! 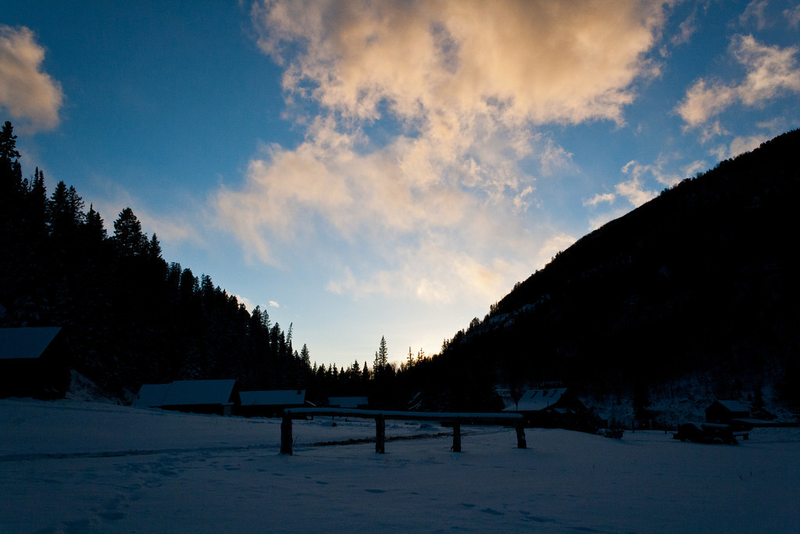 More details about my stay at Dunton Hot Springs coming your way because tomorrow's piece is all about the hot springs! 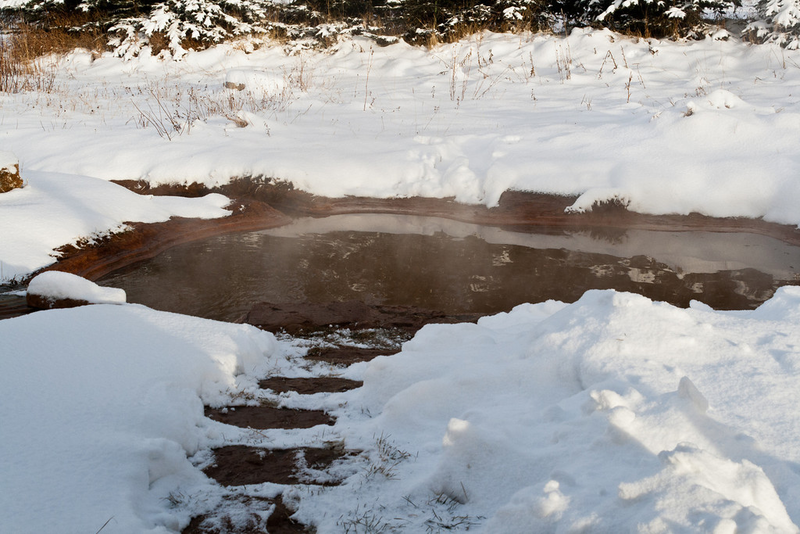 There's something so soothing about beautifully natural hot springs which is why we knew from day one that we couldn't leave Dunton Hot Springs until we tried them out! 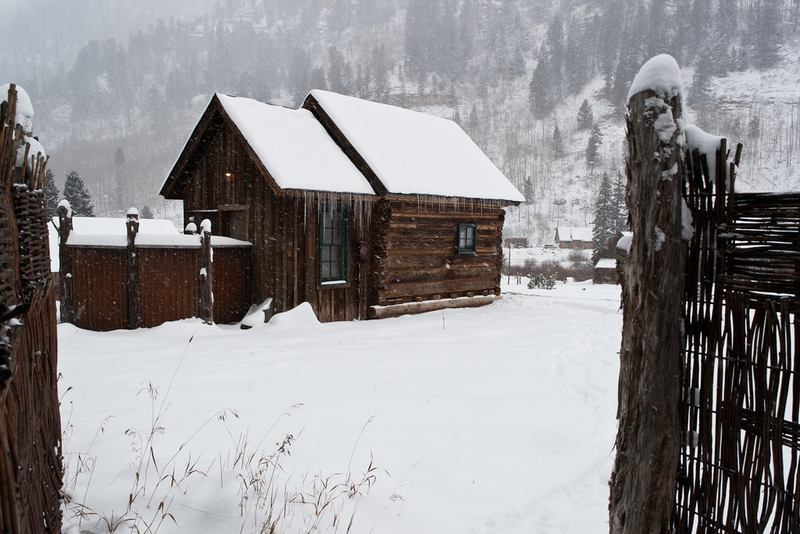 Now this amazing resort has several hot springs locations on their property including one in the bathhouse, a few of them outside, and even one inside a cabin...it's like your very own private hot springs! 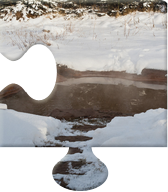 So within the two days that we were there, we decided to try out at least a couple of the hot springs locations. 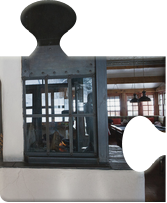 We started with the bathhouse which is a gorgeous space that includes everything that has to do with relaxing. 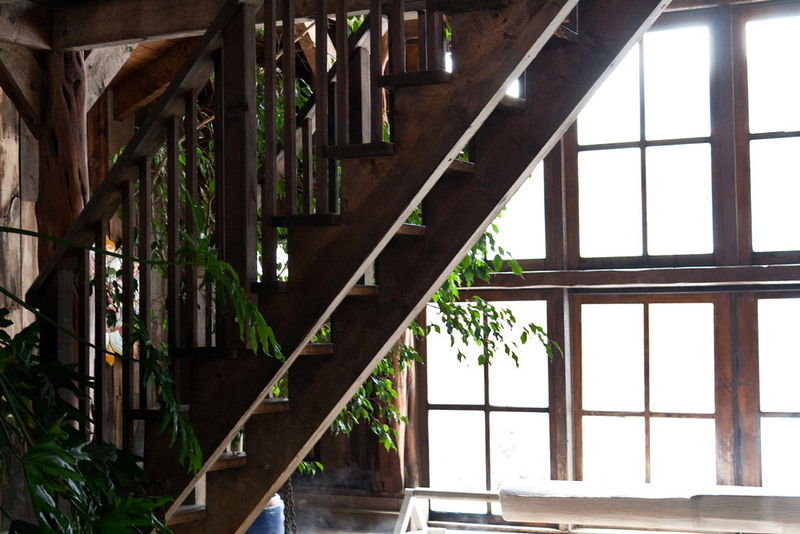 There's a wonderfully large indoor pool of hot springs, a very inviting hammock, calming fireplace, lovely steam shower, unique mediation room in the loft area, and even a cold plunge pool for those brave enough to jump in after spending some time in hot water. 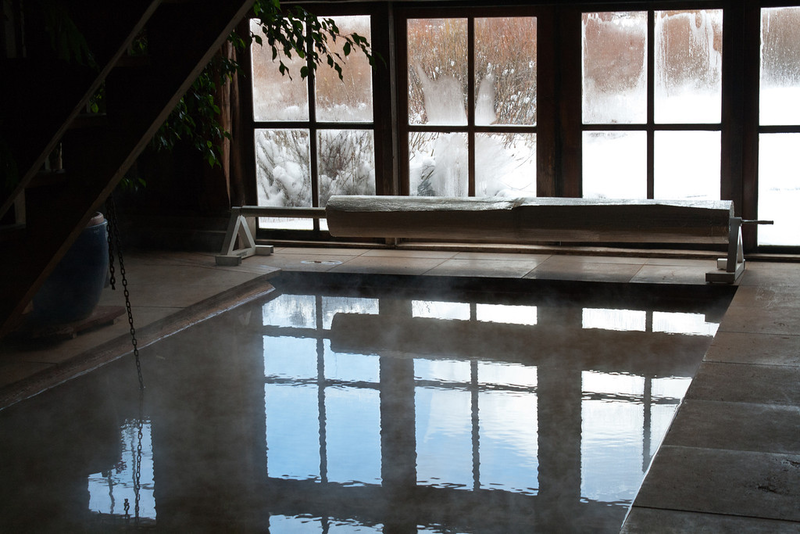 Though I have to admit we were not brave enough to try out the cold plunge, we did make our way out to the outdoor hot springs located in the back of the bathhouse which was absolutely perfect. 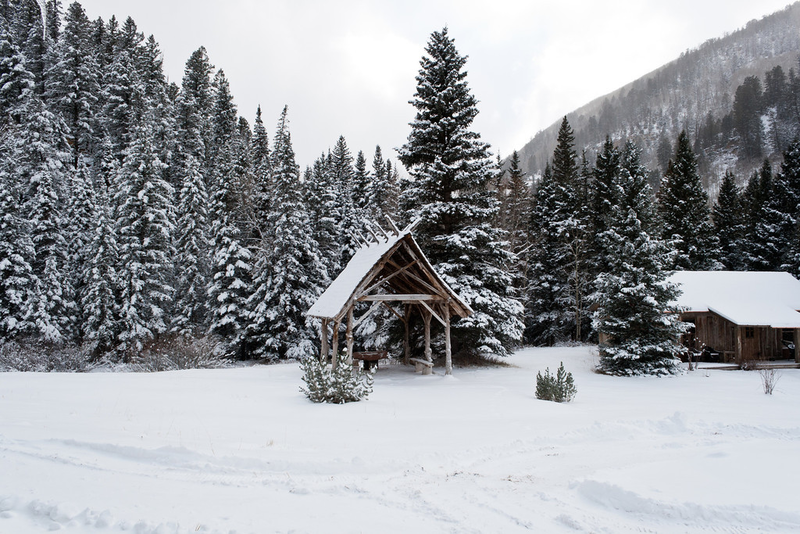 We spent an amazing amount of time sitting in the refreshing hot springs staring at the mountains as the snow fell upon us which is why to this day we still call that one of the best moments in our life! 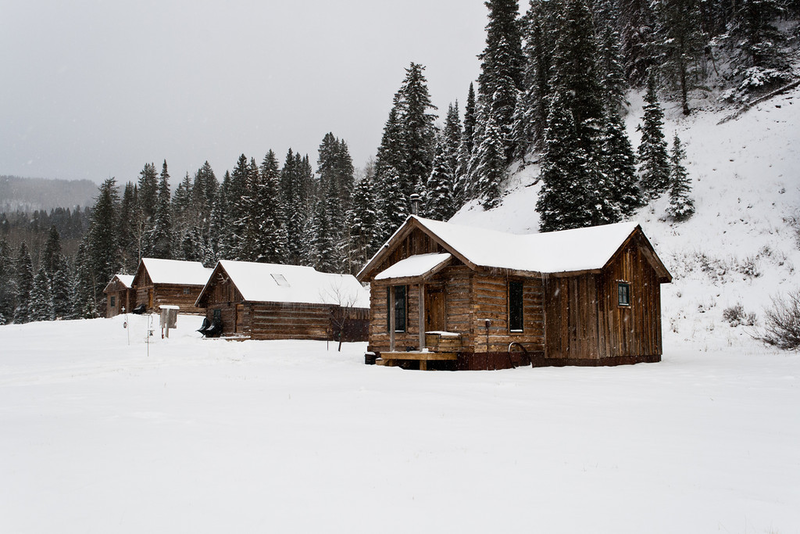 Come back tomorrow for the final piece about our stay at Dunton Hot Springs...the activities! 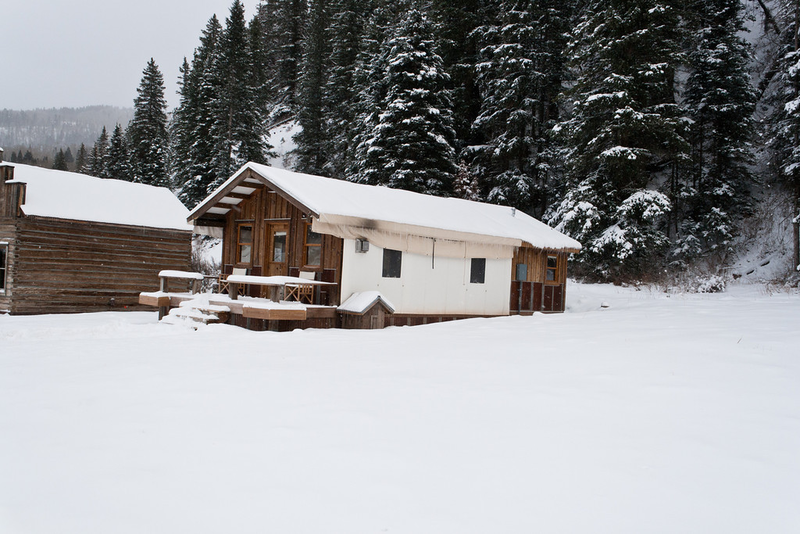 Spending time relaxing indoors and outdoors was the focus when it came to the activities we participated in during our stay at Dunton Hot Springs! 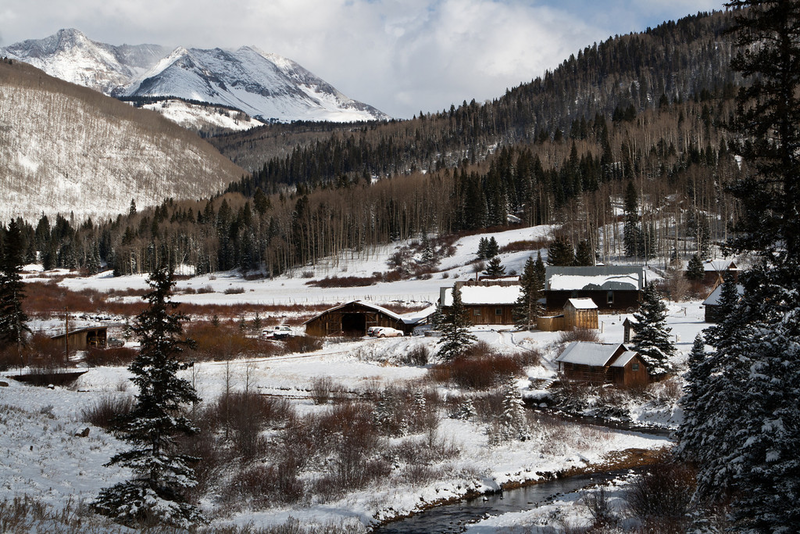 Now this resort has several activities available for their guests like horseback riding, flyfishing, and hiking in the summer to dog-sledding, ice climbing, and cross country skiing in the winter. 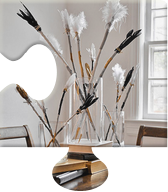 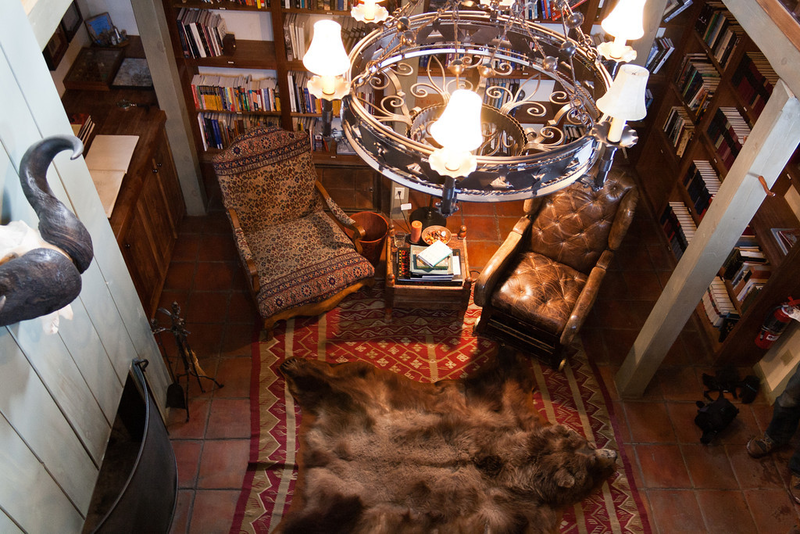 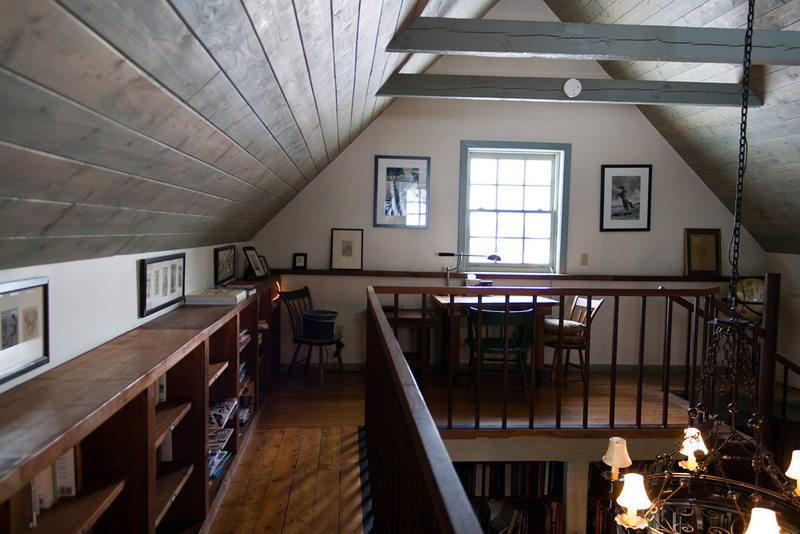 You can also just sit back and relax in the saloon or even their library. 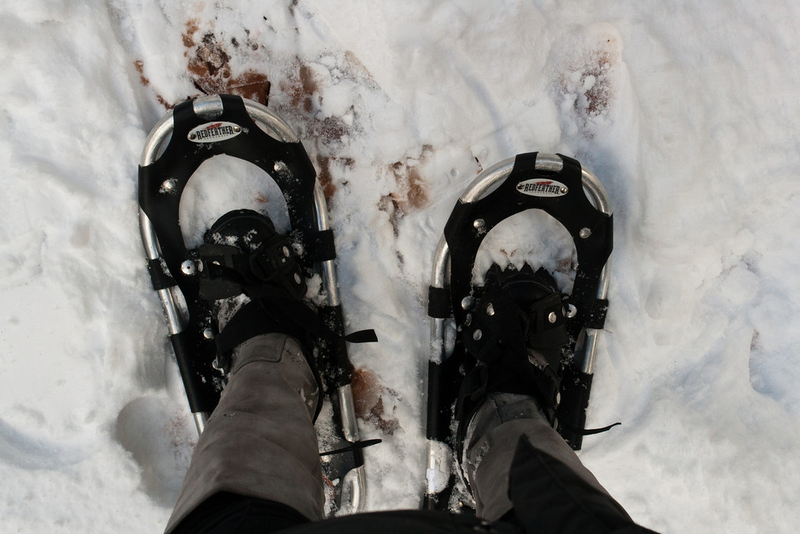 So we decided to try snowshoeing first! 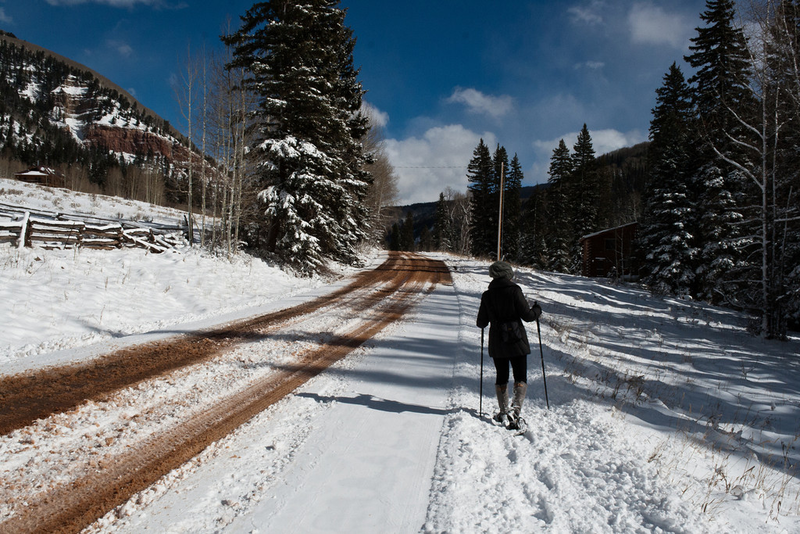 Since I grew up in Minnesota and my husband grew up even further north in Canada...snowshoeing was something that we always enjoyed doing during the winter season. 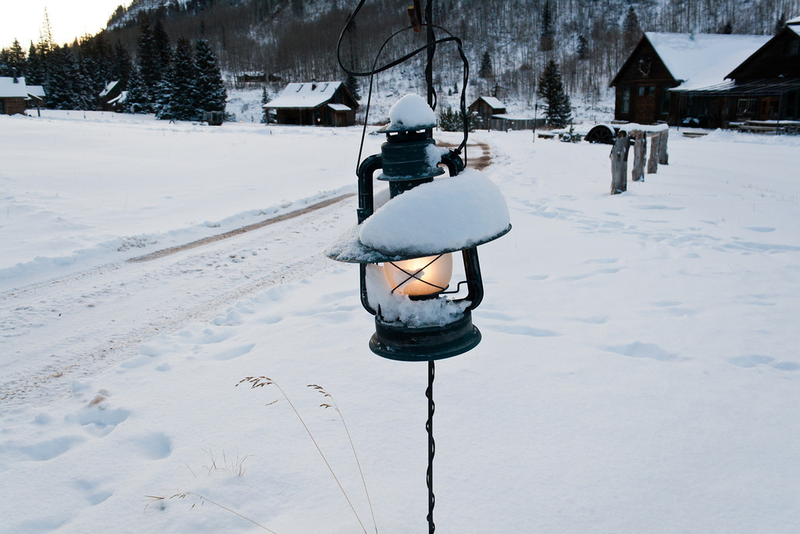 The staff at Dunton were so generous enough to provide us with snowshoes and tell us the best places to go. 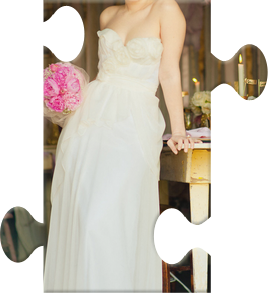 And let me tell you...it was so much fun and absolutely beautiful! 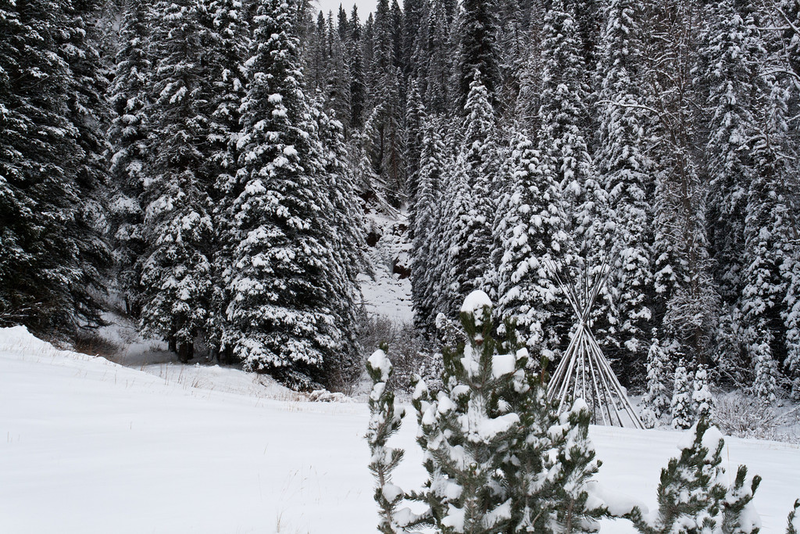 Being far removed from any city noise and just being amongst nature...it was truly amazing! 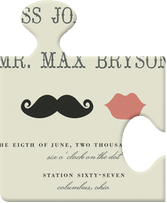 Since we just did a major workout aka snowshoeing...we decided the next activity on the list would be relaxing in the library! 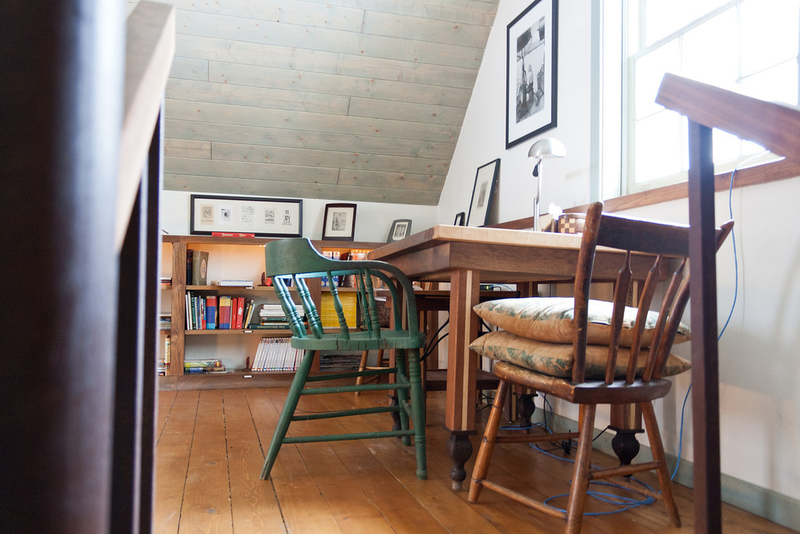 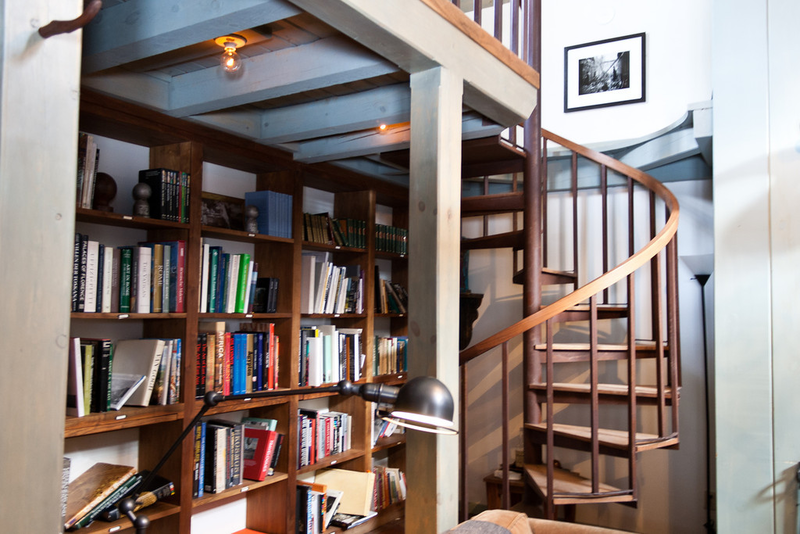 It's literally this rustic oasis filled with tons of cozy and comfy details from vintage chairs to a large bear rug to a fireplace and of course, tons of books ready and waiting for someone to curl up with. 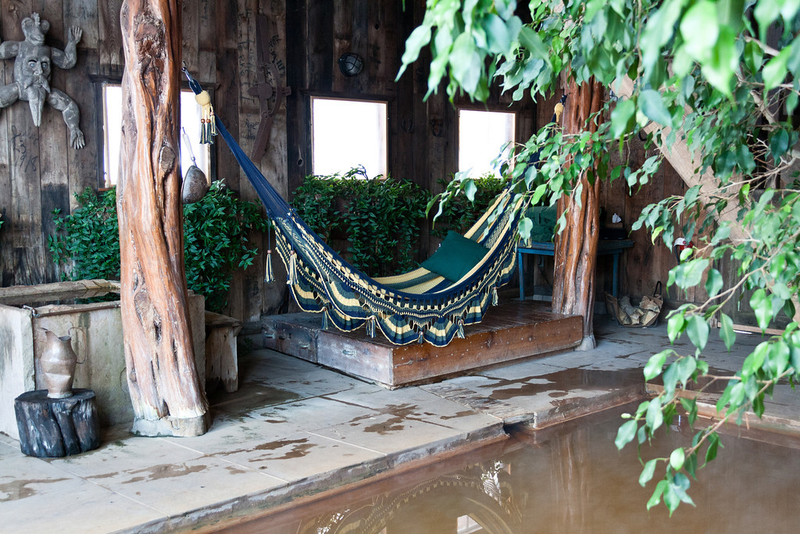 Now that is what we call the epitome of relaxing! 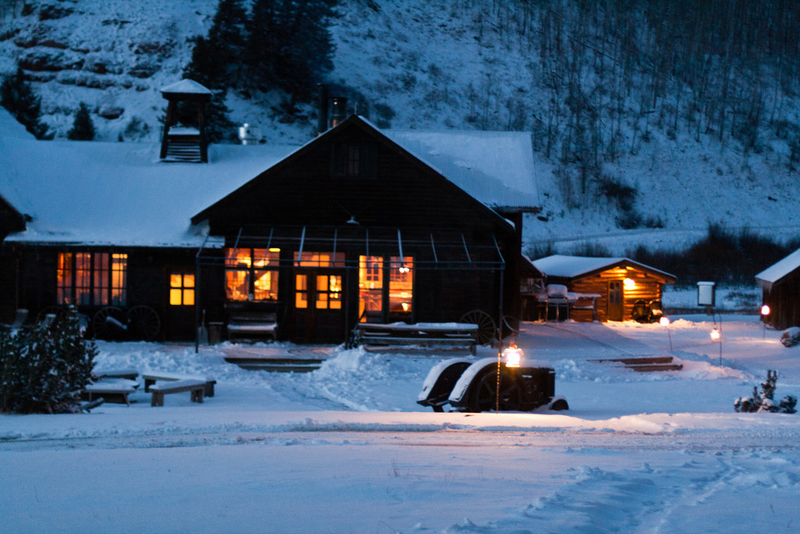 Our experience at Dunton Hot Springs was simply amazing! 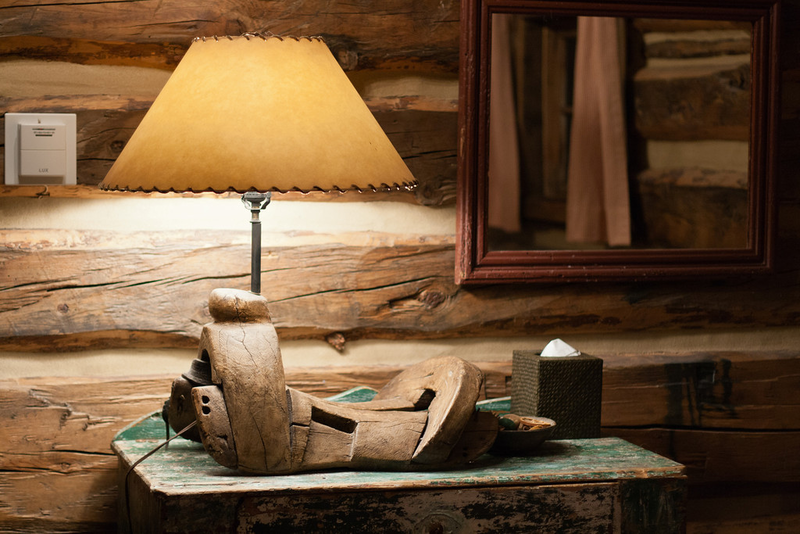 We fell in love with the cozy cabin accommodations instantly. 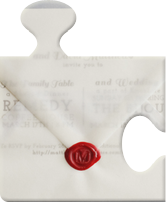 We adored the wonderfully prepared meals and being able to get to know the other guests during the communal dining experience. 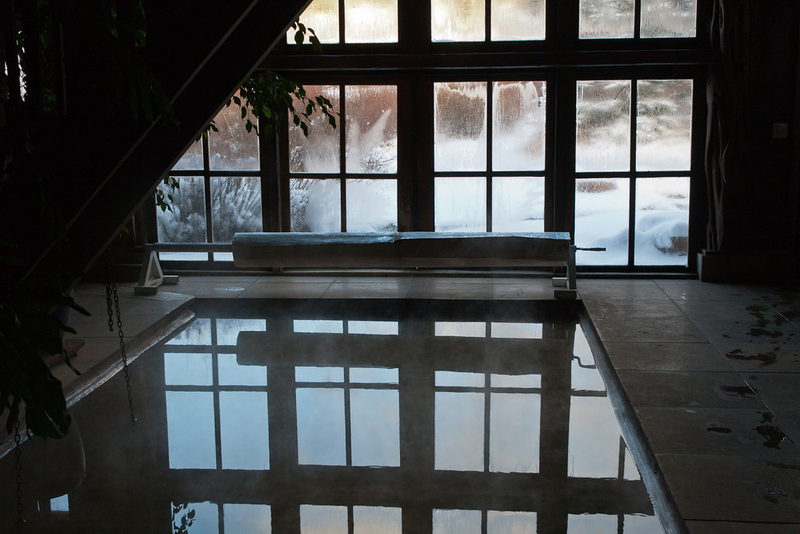 We could not get enough of the hot springs from the soothing indoor pool in the bathhouse to the extraordinary outdoor springs amongst nature's best. 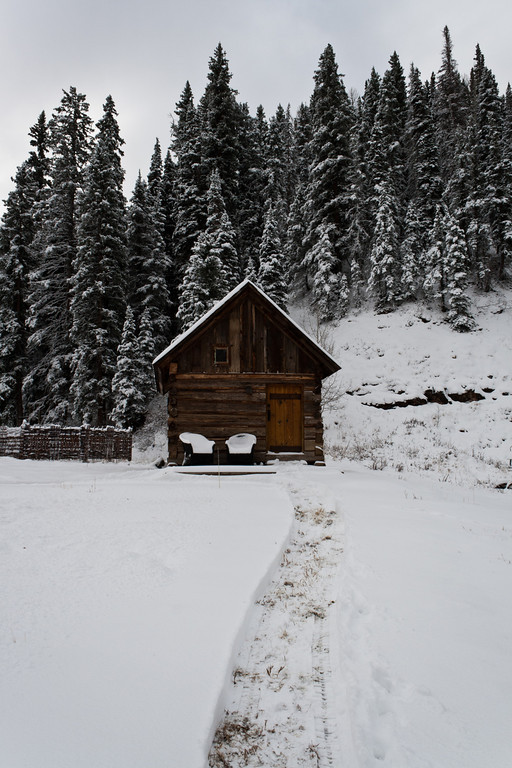 And we had so much fun partaking in snowshoeing and relaxing in the library. 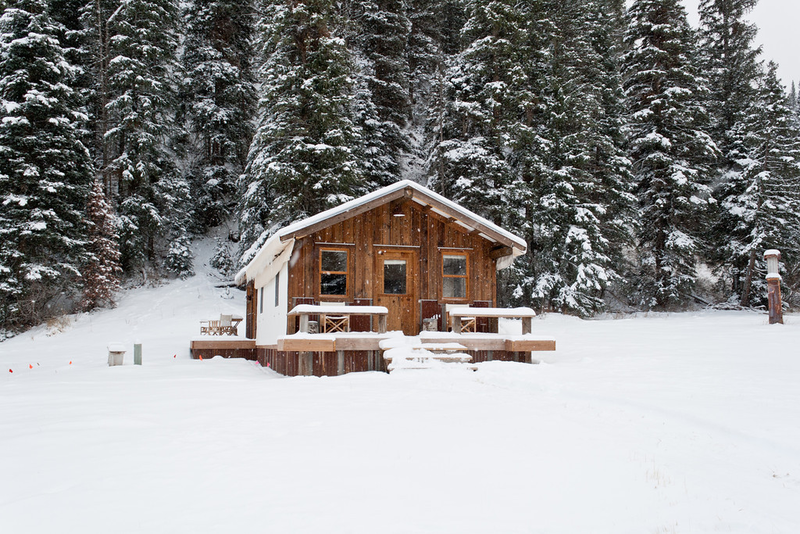 So bottom line, whether you're having a wedding, going on your honeymoon, or just need a place where you don't have to worry about anything...Dunton Hot Springs offers that and more!